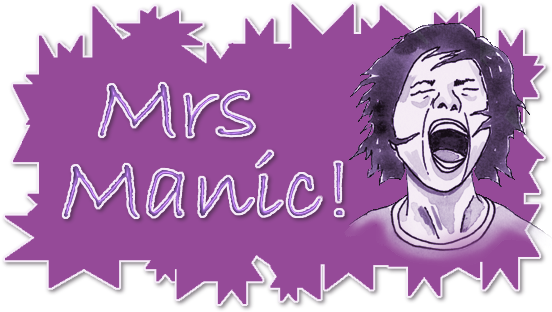 Mrs Manic: Happy 3rd birthday Nicholas! Well, after a very busy week of prep - Nicholas' birthday went well. I'd organised a fancy dress Scooby Doo themed party for him and 8 of his friends, so inc him and Alex there was only 10 wee ones running around my house for 2 hours! I had planned it out so that the kids had to solve the mystery of the missing presents with clues and games along the way which they all loved. The only thing was I didn't factor in the scary monster factor at the end which scared half the kids to screaming point :( I'd hired Lee a brilliant Gargoyle outfit which the head could be removed as all the baddies in Scooby Doo are always people dressed up in moster outfits.... Once Alex had taken the face off and they saw it was Lee everyone calmed down .... ho hum.. lesson learnt! He was a very lucky little boy and received loads of fabby pressies - thank you so much!